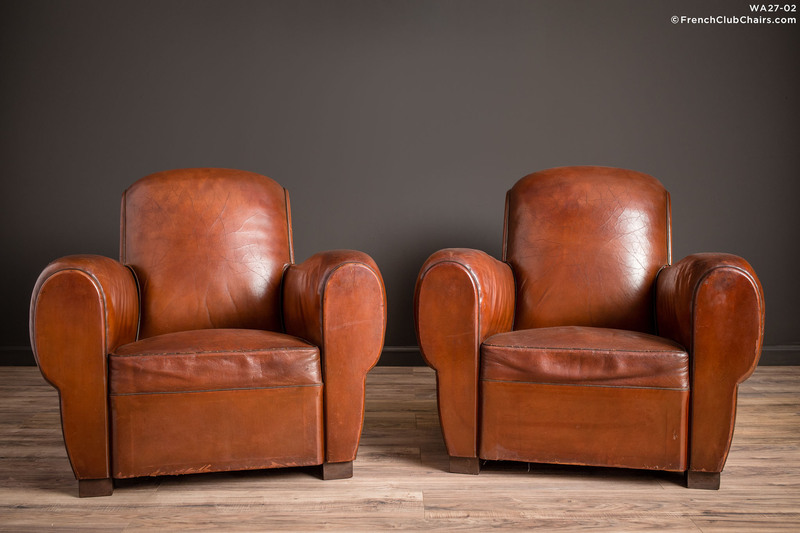 Rollback French leather club chairs. We never pass on a pair of these regal brutes. Strong lines and a deep comfortable are the hallmarks of this classic styling. They are perfect for hooking a leg over while diving into a great book. Circa 1940s. measurements: depth-39", width-36", height-33", seat depth-22", seat width-19", seat height-14"